In one of the few parts of Athens where cicadas may still be heard, along Ferekydou Street in the bohemian inner district of Pangrati, the bitter orange trees lining the street are in full bloom as the weather opens up in spring, producing a delightful scent. 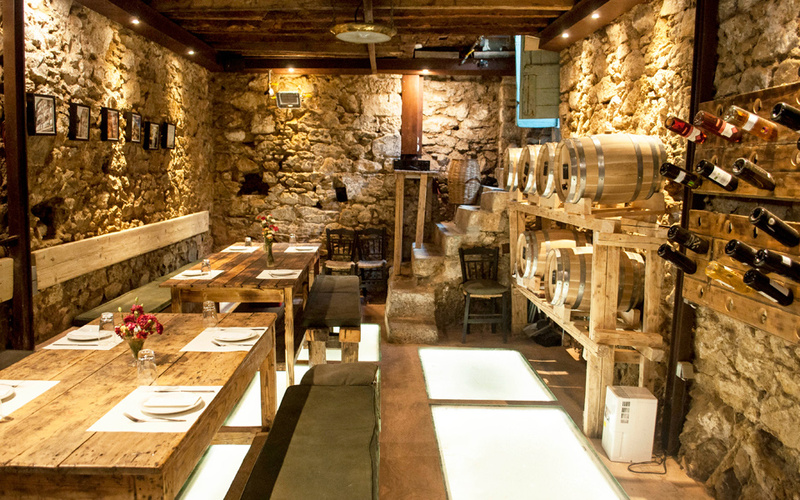 Megaritis, an old tavern established in 1917 had operated here for years, serving assorted meze dishes at its ground level space and stocked with barrels of wine in the sub-basement’s cellar. People would go down to the cool, stone-made and cave-like area to purchase wine for home. Once a year, when the new wine had arrived, the Eleftheriou family, which owned and operated Megaritis, would take the barrels out onto the street for a good wash in preparation for the refill and, in doing so, staged neighborhood parties each time, offering wine to all locals. Nowadays, the old taverna, renamed Mystic, is run by a new proprietor, Babis Ananiadis, who revamped the old space to highlight its features. 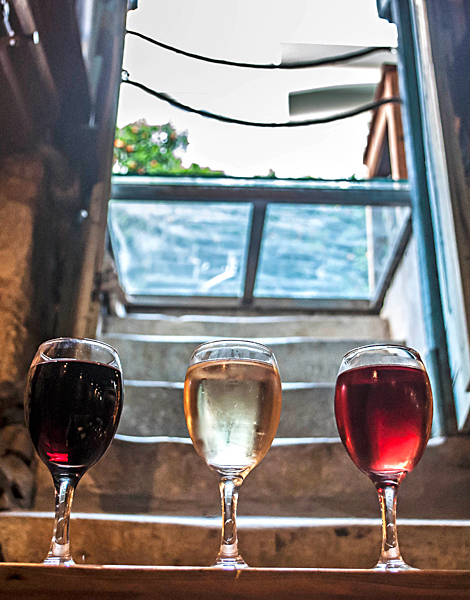 Down at the sub-basement – the building’s oldest section – the cellar is now charmingly lit and houses six small barrels carrying varietal wines produced by the Rouvalis winery. As in the past, wine can still be purchased for home. Visitors may also sit and try the wine here. Two long wooden tables with a capacity to seat 25 persons, at most, have been placed at the cellar, whose atmosphere is unique. Among the guests, musicians usually bring along guitars and saxophones to play music. The area is surrounded by an exhibition of work from amateur photographer Ilias Tsaousakis. It depicts urban scenes, including buildings and slogans on walls. The other spaces at Mystic are equally fascinating. In the ground-level area, the “little grocery”, as the owner likes to call it, resembles a photograph from a bygone era. 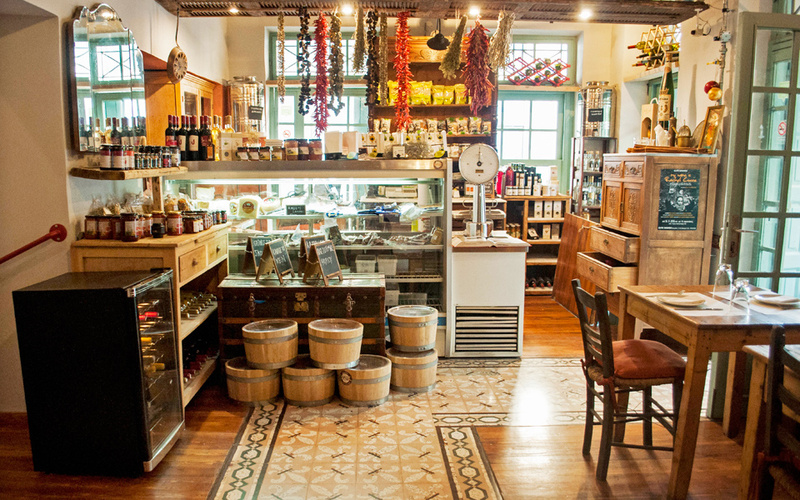 Operating as an old-school grocery store with a traditional display cabinet, it sells local products hailing from all over Greece, supplied directly by the producers themselves. Products available include apaki (lean smoked pork from Crete) as well as graviera cheese from the island; kavourmas, a traditional cold cut, and smoked sausages, both from Evros in Greece’s northeast; superb kaseri cheese from neighboring Xanthi, cold cuts from Karpenisi, central Greece; as well as incredible smoked seafood from Halkidiki in the north. According to Ananiadis, the owner, regulars who have made Mystic their haunt since it opened in 2014 like to order a glass of tsipouro, a few slices of the cold cuts readily available, along with a dako (rusk usually topped with tomato, cheese, oregano and olive oil). 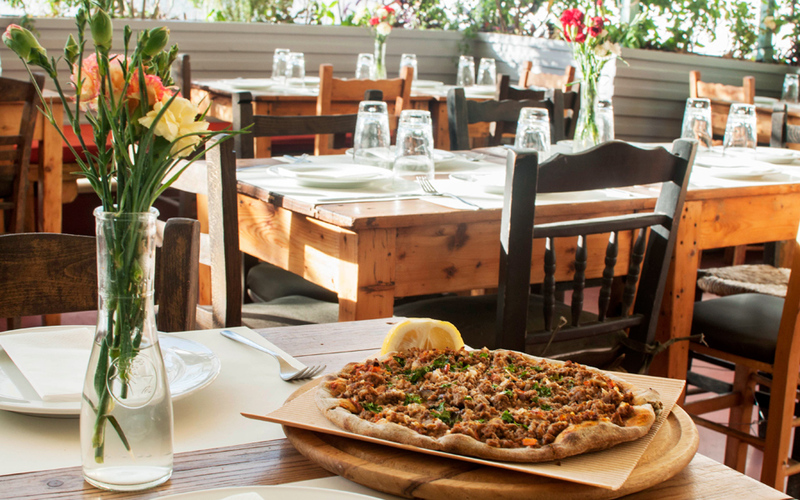 Tsipouro, raki, and tsikoudia, all potent spirits, as well as good-quality bulk wine, may be enjoyed here with meze side dishes, while, for main meals, the spot’s pizzas, made with organic cannabis-flour bases, are renowned. Try the Mystic Rocket Pizza with mozzarella, parmesan and rocket. The place’s homemade pasta dishes are also prepared using cannabis flour. The Sea Food spaghetti, topped with fresh tomato, prawns and mussels, is exceptional. Also consider the spaghetti dish made with grated spirulina in white sauce. As for the meze assorted side dishes, the kavourmas saganaki and the lahmajun with vegetables or mince are top sellers. Romantics should head upstairs for a rooftop table. Various types of flowers bloom at the flower beds surrounding the space, while the breeze helps fuse their delightful fragrances. The bar’s backdrop is adorned with vintage cult magazines hanging from pegs. 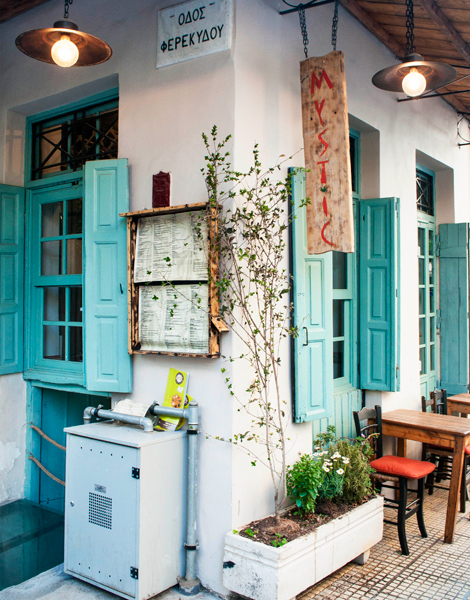 Part of an old Athenian kiosk dating back to 1950 was used to create the setting. Don’t forget to enquire about the next scheduled date for live jazz music events. They are organized on a regular basis and tend to spark up plenty of dancing.